Thanksgiving usually means sitting around a table and stuffing yourself with turkey and all the fixings. In Korea, on their Thanksgiving known as Chuseok, most Koreans are doing the same. Well, if you substitute the turkey for songpyeon and the dry red wine for clear strong soju. But we’re expats here in South Korea, and the same doesn’t necessarily apply to us. We don’t have any extended family obligations and have nothing on the agenda except a glorious long weekend begging for a family adventure. Sign us up. We decided we could finally gamble with bringing along our almost-1-year-old on a biking/camping family adventure, along with our well-traveled and cycled 4-year-old. 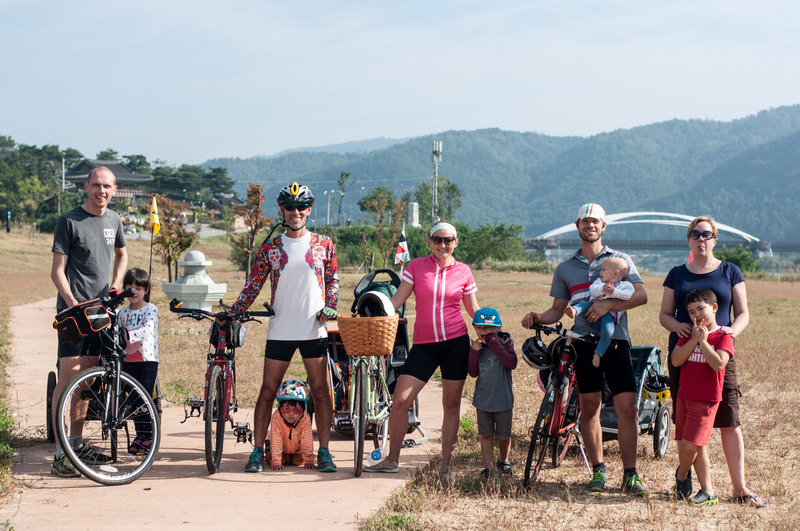 We got some friends and their families on board and we hopped on our bicycles and rode from our home in Gyeongsan to the traditional folk village in Andong, a UNESCO World Heritage Site. 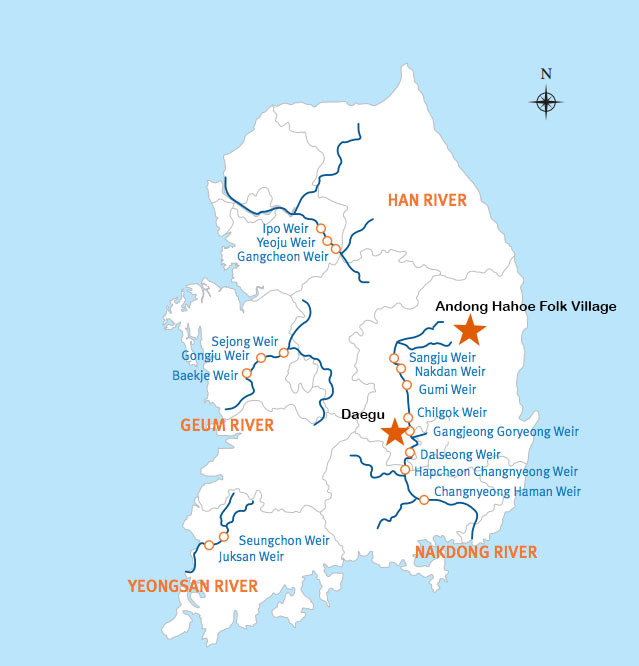 Cycling in Korea is picking up in popularity, especially with all the wonderful new dedicated bike paths criss-crossing the entire country as part of the Four Rivers Project. And, as you can see from Whit’s many blogs about it, we’ve jumped on the boat bike too. Do your research. For starters, download this brochure about the paths and learn where you can access them. We’re lucky because we can leave our house and reach the bike paths in Daegu in less than an hour (cycling through some farmland and along rivers before we hop on the official path). Get the gear. Your bike trip will only be as fun as your gear is reliable. In 2013, I biked from Daegu to Busan on a rather cheap 7-speed bike and I lagged behind the group most of the trip, though I worked nearly twice as hard. I recommend at least a 21-speed bike. Mountain bikes, touring bikes, and road bikes are all great for this trip. I personally ride a hybrid bike and it’s just perfect. It’s also important to have good gear like panniers to hold all your supplies that you’ll need. Think about your young ones. What gear and supplies will they need? 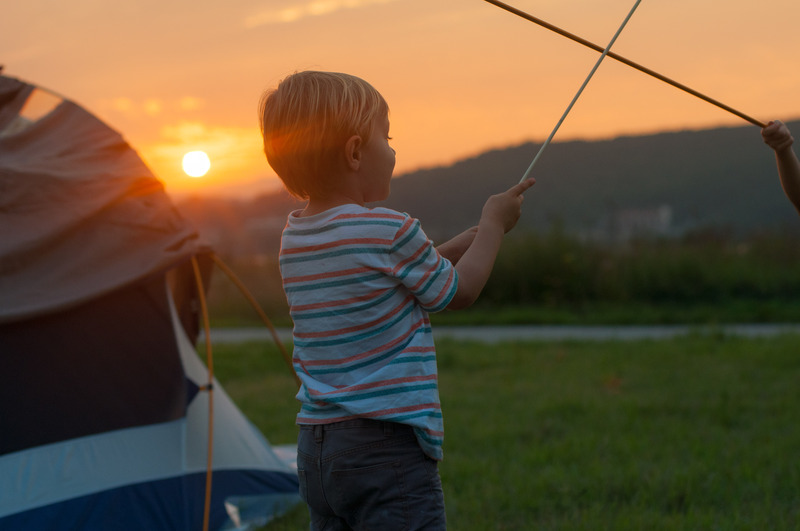 We typically use one trailer and one seat on the back of a bike and let our two kids switch between these two options, though they typically love to ride in the trailer most, where they can play with toys, read books, take naps, and easily munch on snacks. Camping with kids is our favorite. Nothing beats a childhood sunset. Be flexible. Traveling with children in any setting requires a large amount of flexibility. Remember to go slow, stop often, and embrace your inner child. 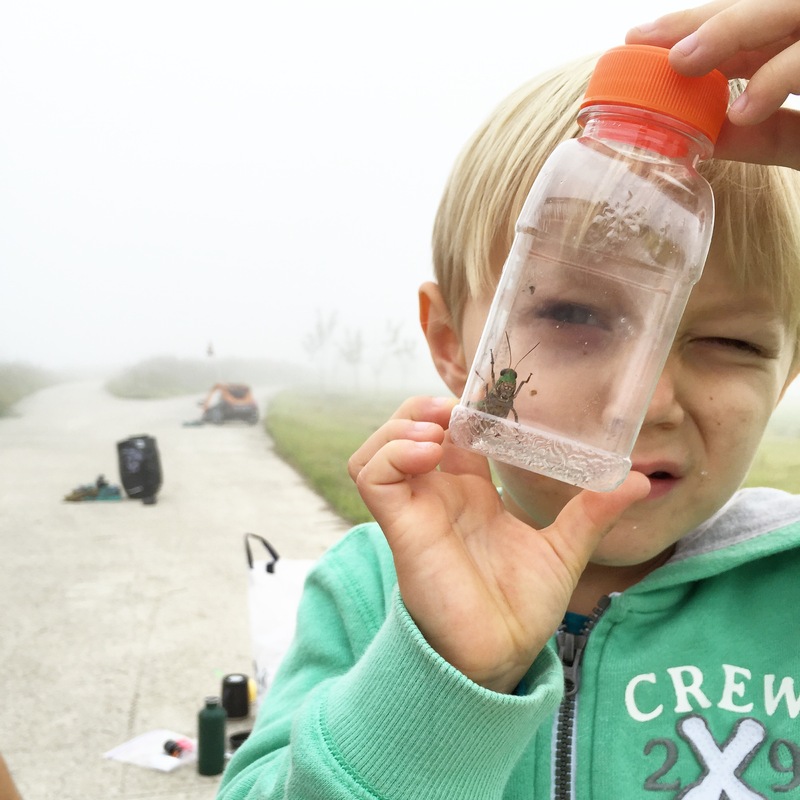 We stop at any playground we see, let the kids roll in rain puddles, let them have unusual amounts of lollipops and snacks, and stop to take pictures and hold any type of bug we find along the path. Capture the moments. Bring your camera and snap up some shots of your adventure. These bike paths in Korea are the perfect backdrop to what will be some of your kid’s fondest memories of childhood. Questions? Planning your own family trip? E-mail us. We’re happy to help. You guys are incredible! I hope when we have our family we can set such a healthy example and get our kids out exploring with us!!! Logistically- was it hard lugging around the gear too???? Did you cook dinners or kimbap it? I always felt like our car was packed whenever we went camping, so I’d imagine we’d need to learn to downsize! Lol! Thanks for the comment, Mrs. Duke Stewart! ❤ You guys are doing incredible things on your travels too, I see. To answer your questions: Logistically, it's not too difficult lugging around the gear. The bike trailer for the kids really helps because it has a little storage space in the back as well, where we can fit most of our camping gear, etc. The panniers on Whit's bike fit a lot too, maybe 20 liters on each side of the back wheel I believe. We have to pack super light, which means one (OK, I sneak in two) outfits for cycling, and then one set of clean clothes to wear each evening. And then of course underwear for each day. As for dinners, our goal is to eat every meal out except for breakfasts, in which case we usually cook oatmeal. It's never hard to find an amazing and healthy Korean option, as you know, and this keeps our packs light. We typically pack one emergency meal in case we can't find food out, but these bike paths have a convenience store on them every 30-50 miles so we buy as we go. So, long story short, we pack light, but we go prepared. And, if it makes you feel any better, our car is always packed to the hilt when we go car camping. I believe we even bring a kitchen sink.